We have won the Norfolk County Farms Supreme Championship nine times (more times than any other business). Most recently in 2014. We were runners up in Class 1 in 2011 and 2013, and look forward to competing in the championship in 2014. In total we have won 25 trophies in this competition. Won the Excellence in Agriculture Class at the Norfolk Food And Drink Awards 2012. 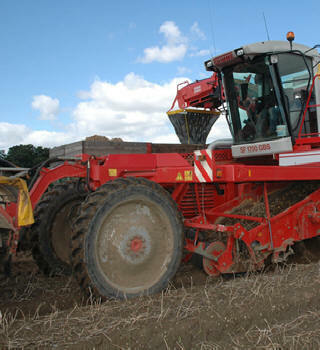 Has been awarded runners up in the Farming Family of the Year 2009. Was awarded the RASE "Excellence in Practical Farming" award in 2002. Won the Environment Agency 2004 Water Efficiency Awards. Won the "Best 2 Acres of Potatoes" Competition 2008 for Stalham Farmers. Won the "Wheat Cup" Competition 2008 for Stalham Farmers.